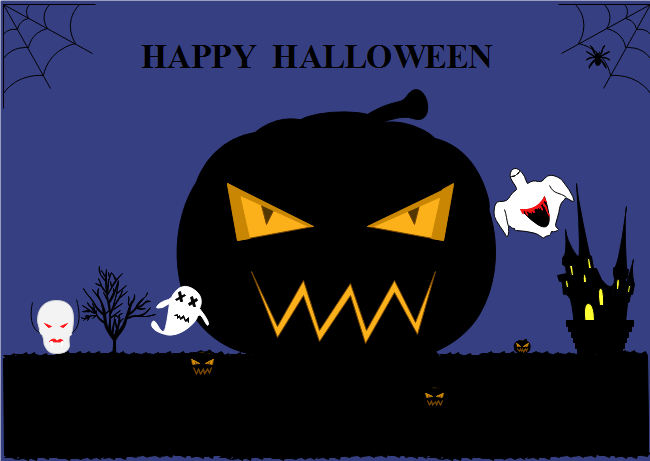 Description: This Halloween card template is popular with a big pumpkin and several little ghosts. The background is designed at a haunted house in the twilight. Have a great starting point to create an exquisite big pumpkin Halloween card.